This is another of the dishes, I made for my impromtu brunch. It was easy to make. It was tasty and disappeared from the serving platter quickly. Spray a round shallow baking dish or ten inch pie pan. 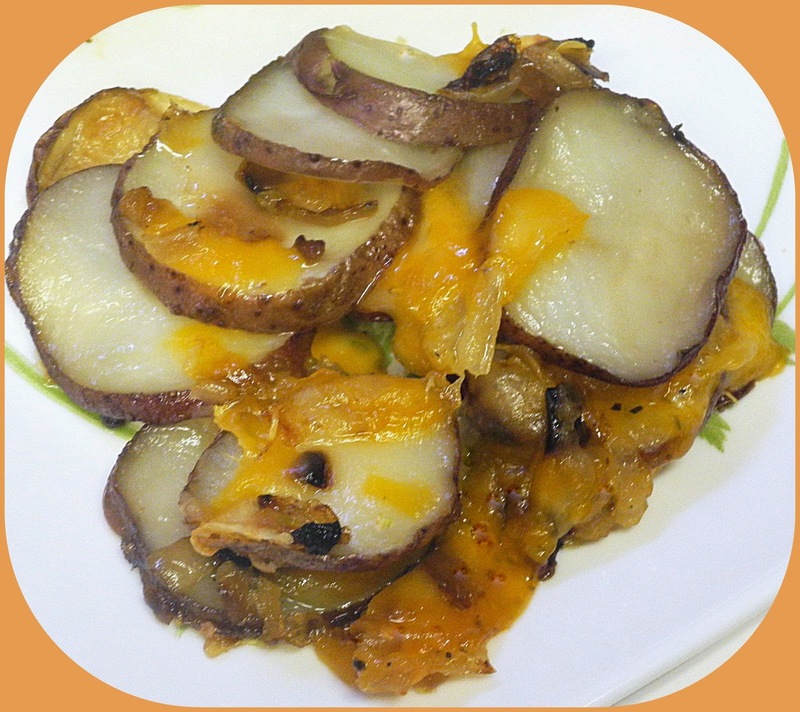 Cut the potatoes into thin slices and place in the baking dish. In a small saucepan, heat olive oil. Add onion, salt, pepper and cook until onion is translucent. Cover, and bake for 45 minutes, or until potatoes are tender. Return to oven and bake for another 5 minutes. Dear Chaya, I am sure these potatoes did not last long. They look very delicious. Delicious! Potatoes are one of my favorite foods.Thanks for sharing, Chaya!